Launch a small group video collaboration at a moment’s notice. Whether you’re in a huddle room, conference room, or office, just connect and go. No training required. Crystal-clear audio and HD 1080p video at 30 frames per second deliver high quality video conferencing for small groups. Just plug and play. 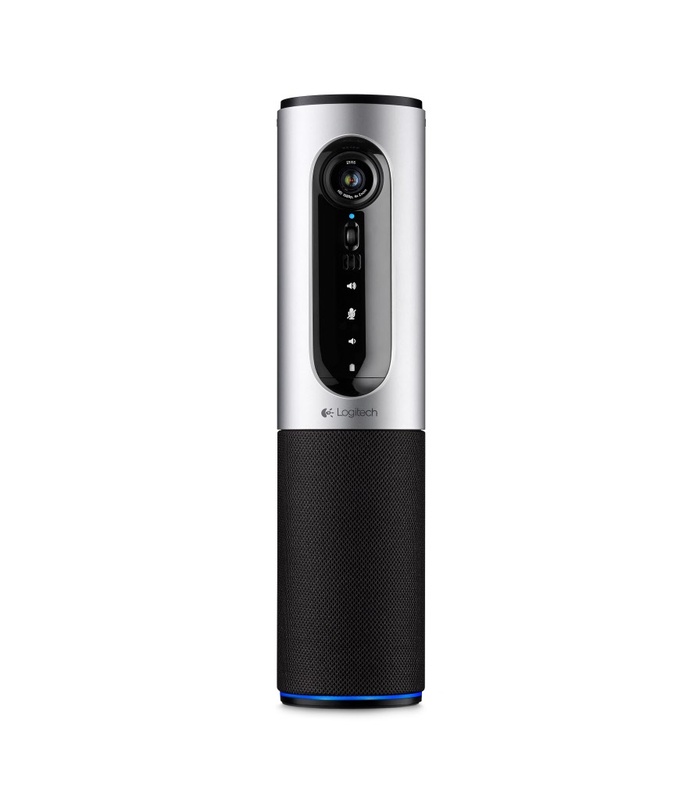 Includes wideband audio from a full duplex speakerphone with HD video shot through a precision glass lens. Works with virtually any video application, including Skype for Business, WebEx®, and more. Omni-directional speaker and noise-cancelling microphone allow all meeting members to clearly hear and be heard up to 8 feet away – just right for use in private offices, huddle rooms, and home offices. Present your meetings in vivid detail with a ZEISS® certified lens with a 78-degree field of view, 180-degree video pan, and HD 1.2x digital zoom. A height extender and 8-foot USB cable allow you to set camera to eye level or adjust height and distance for a more flattering angle. Zoom, tilt, and turn the camera from any location with your remote. Quickly answer or hang-up calls, adjust volume, and mute the mic without getting up from your chair. High-precision glass lens automatically focuses on people and objects to deliver razor-sharp resolution wherever the lens is pointed. Set-up is a snap. Easily connect to a PC, Mac®, or USB-enabled host with no additional training, software or special maintenance required. High-quality webcam sensor and Logitech RightLight™ 2 technology improve visual quality even in low light and backlit situations.